100% Rauma Ryegarn wool rug yarn from Norway. 2-ply 100 g hank = 82 yards. One hank is enough to create whipped edges of a 20" x 40" primitive rug. 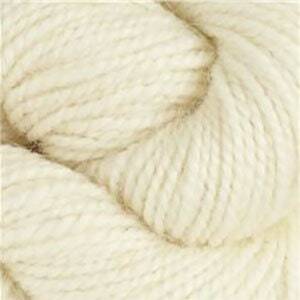 This yarn has a unique and beautiful twist and adds premium strength to your rug edges. I try to keep neutral colors in stock since those are the most used. Cream or White can be dyed to a specific color you may need and non-stock colors do require special order, but I would be happy to order it for you. "Ryegarn" means rug yarn in Norwegian. This yarn is made in Norway and is made from a heritage variety of sheep called "spaelsau" which are raised on the west coast of Norway. The long staple length of the fiber makes for an exceptionally strong and lustrous yarns which means this yarn will hold up well on the edges of your rugs. Whipping with a single strand makes a perfect and smooth finish. I couldn’t be more pleased with the quality and texture of the items I ordered. Thank you so much!